The Petzl Volt Wind Harness, which offers both fall arrest and work positioning capabilities for wind turbine technicians, is now in stock at Abaris.co.uk and at our Holmfirth store. With wind power having become a key part of the UK’s electricity generation infrastructure, there is a growing demand for specialist PPE for those working at height to inspect and maintain the country’s 5,200 onshore and 1,400 offshore turbines. The new Volt Wind Harness is Petzl’s response to that demand and boasts a number of cleverly designed features to cope with some of the challenges posed by working on turbines. One of the main advantages it offers over standard harnesses is rear wear protectors to stop the webbing being damaged by rubbing against the inside of the wind turbine body when moving about in the tower. This simple addition increases the durability of the Volt Wind Harness, giving it a longer safe life expectancy. The Volt Wind Harness features a selection of attachment points to ensure it is compatible with the relevant safety and positioning equipment while you work on wind turbines. They include sternal and dorsal attachment points for fall arrest systems, side attachment points for positioning lanyards and a rear waistbelt point for a restraint lanyard. Perhaps most usefully of all if you use vertical rail or cable-based fall protection systems, the ladder climb attachment is on the waist and distributes the load on the waistbelt for increased comfort during progression. In the event of a fall, the attachment point automatically moves upwards to leave you suspended in an upright position rather than being pivoted at the waist. 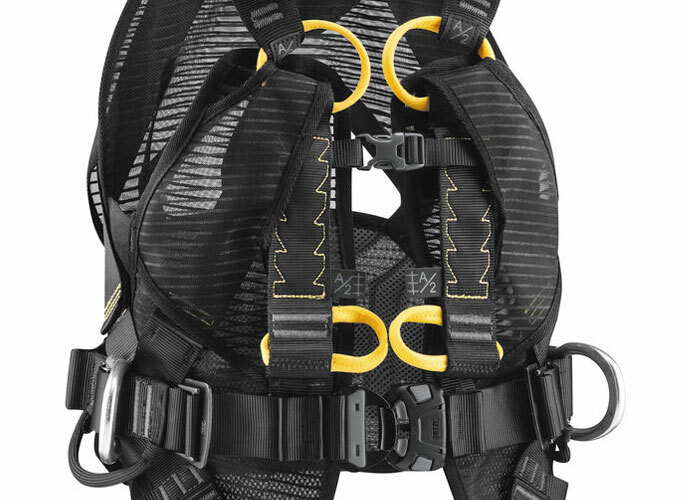 Further safety features include foldaway side D-rings to prevent snagging when not in use and a stowage system on each shoulder strap to keep fall arrest lanyard connectors out of the way when they are not being used. The stowage points are designed to release in the event of a fall to allow the fall arrest lanyard to fully deploy. While safety is the primary focus of all good PPE, it also helps if it is comfortable – particularly if you are going to be suspended up a wind turbine for any period of time. Fortunately, the Petzl Volt Wind Harness was designed with that in mind, making it an ideal choice for longer duration maintenance and repair tasks – particularly if you add the optional Volt Harness Seat. The combination of lightweight, breathable mesh jacket and quick release buckles on the waistbelt and leg loops make the harness easy to put on and ensure it keeps its shape. 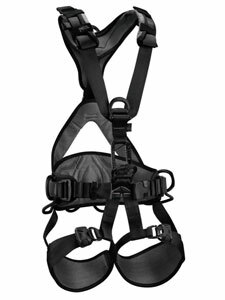 Once you are wearing the harness, you will benefit from a design that gives optimal freedom of movement, a semi-rigid waistbelt for maximum support and adjustable leg loop foam. There are even loops that allow a toolbag to be clipped to the harness for easy access. 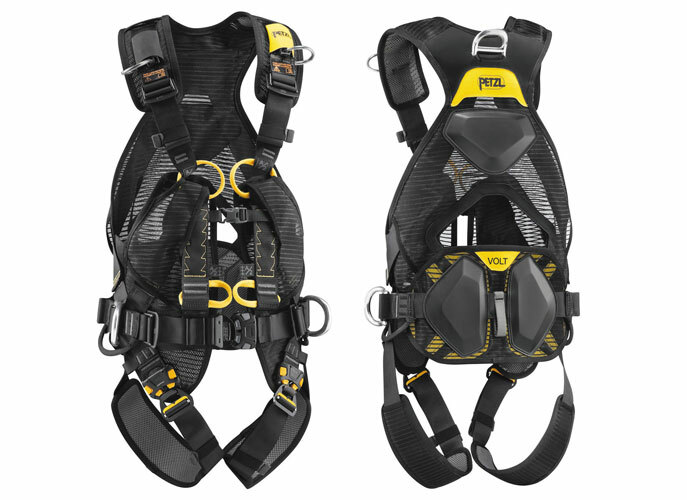 Click here to order your Petzl Volt Wind Harness or to find size information. Alternatively, if you have any questions about whether this is the right harness for your requirements, give us a call on 01484 768277.